Today I posted on my Facebook page that I am completely retired and will not be doing appearances or shows with my family anymore. I'm still receiving comments and messages about show business, so I wanted to make sure that everyone understands that I have retired because of health reasons. It's been a wonderful experience and thanks to all of you, I was able to enjoy performing for 54 1/2 years. On September 1, 1957, we officially called ourselves "The Osmond Brothers." My mother and I used to tell each other jokes in the early years, but later I enjoyed telling jokes on stage more than singing. 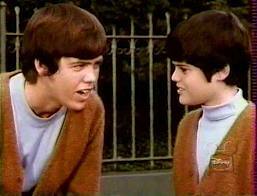 We, as the Osmond Brothers, owe so much to our fans that have followed us through the years. I hope that we'll always be friends forever! The Osmond's were discovered by Branson's most recognized entertainer Andy Williams upon request from Andy's father who prompted Mr. Christmas to , "give the kids a chance". In modern times it was Andy Williams who put Branson on the national map prompting a major economic boom.